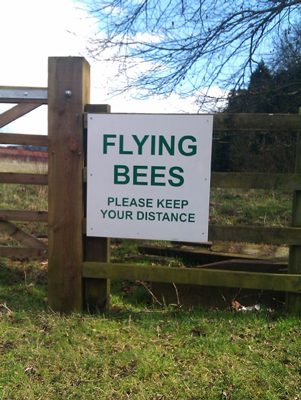 Are there other sorts of Bees? Does anyone know if there are others types of Bees? Like oh, I don’t know, crawling ones! I suppose this is just another example of the signwriter disengaging his or her brain before creating a sign, they really should be more careful shouldn’t they!